I've used walnut stain (my fave brown) and the victorian velvet - I think those colors go well together! The round piece is punched out of watercolor paper and stamped with a very cute stamp I just discovered to fit inside a 2" circle! 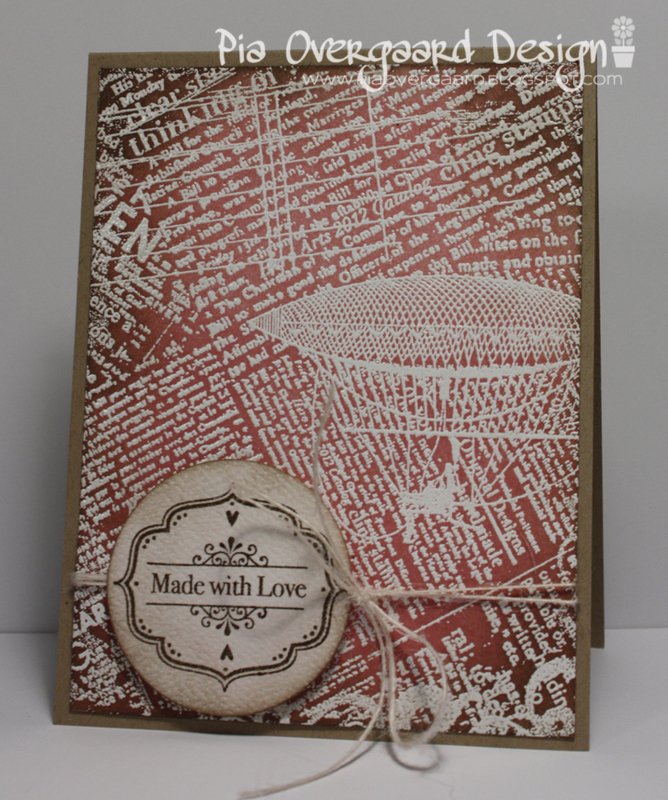 This stamp is from the Amour set! That's all for today ! I hope you are having a great day! I will be packing tonight for the scrapbooking event - so see you again next week! Love this, Pia! And I totally agree with your comment about the magic of heat embossing! Beautiful Pia - love the colors! Wow! 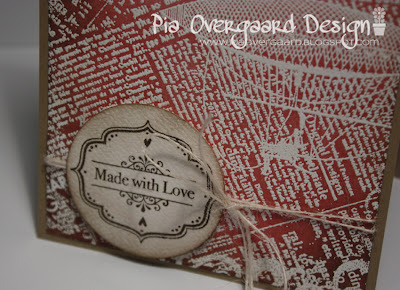 This has an amazing appeal to it, very pretty design, Pia! Hello Pia! Such a beautiful project to post my Liebster Blog award to you! Thank you for your welcoming to the Hero Arts group, and for your continued inspiration! Pop on over to my blog for the details--and have fun sharing the love! Waouw hvor er det nogle skønne kort du har lavet med det stempel. Vildt lækkert stempel.